A 2017 survey conducted by the Financial Conduct Authority concluded that 50% of adults living in the UK are, in some way, financially vulnerable. There’s a myriad of reasons why people might worry about their personal finances, and these concerns can end up having a detrimental impact on many different aspects of life, from an individual’s mental health and wellbeing to their relationships with others and performance at work. 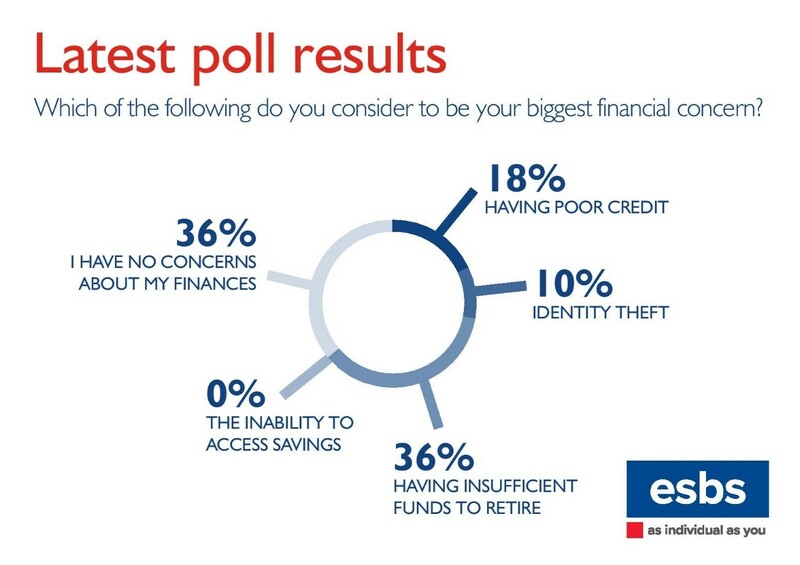 To better understand the issue, our August poll asked people to identify which common financial concern troubles them the most. 18% of participants said they were especially worried about having poor credit when coming to take out a mortgage or another type of loan. While 10% said they feared that they might fall victim to identity theft, none of those who took part said they were concerned about being unable to access their savings. At 36%, more than a third of people said they felt anxious about having insufficient funds to retire. The remainder of participants said they had no concerns about their finances.